Vallance, J.W. ; Schilling, S.P. ; Matías, O.; Rose, William I.; Howell, M.M. 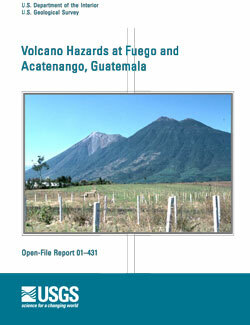 Volcano hazards at Fuego and Acatenango, Guatemala; 2001; OFR; 2001-431; Vallance, J. W.; Schilling, S. P.; Matías, O.; Rose, W. I.; Howell, M. M.